Home | PARTY SUPPLIES | DINOSAUR PARTY | Prehistoric Jungle Dino Loot Bags, 8 pcs. Prehistoric Dino Loot Bags, 8 pcs. 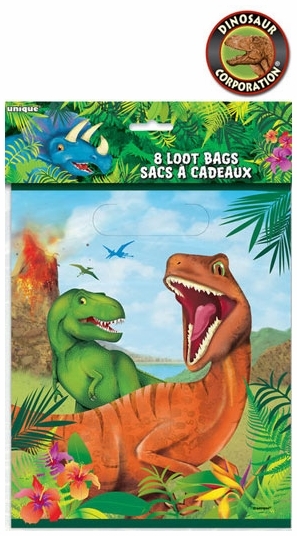 Prehistoric Jungle Dino Loot Bags, 8 pcs. Welcome in the Jurassic Jungle with Prehistoric Dino Loot Bags showing famous T-rex. Let's celebrate! It is a Birthday Party Time!